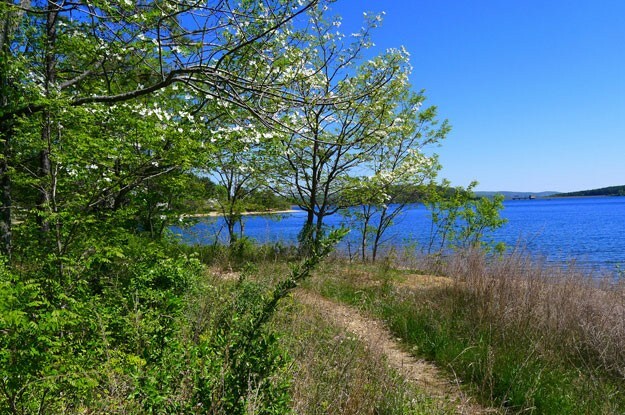 (18/P039) TRENTON – The Department of Environmental Protection is encouraging residents and visitors to enjoy the outdoors and the state’s extensive network of trails by participating in National Trails Day hikes and related activities on Saturday, June 2. This year’s events help mark the 50th anniversary of the National Trails System Act, signed into law by President Lyndon Baines Johnson on October 2, 1968. This law launched a national strategy to create and manage both urban and wilderness trails across the nation. The vast network of trails in the state offers opportunities for a wide array of activities. In addition to hiking and nature appreciation, trails offer opportunities for cycling, horseback riding, backpacking, skiing, as well as places to launch canoes and kayaks. Always check ahead to determine approved trail uses. An initiative of the American Hiking Society, National Trails Day was first celebrated in 1993 to commemorate the 25th anniversary of the National Trails System Act. It is now an annual event designed to promote the many attributes of recreational trails. Geocaching at the Trailside Nature and Science Center in Union County. For more details and additional events, click here. Please note that some events require a RSVP or preregistration. National Trails Day helps foster a public understanding of the importance of trails and the perseverance and dedication of those who helped establish, preserve and maintain them. Trails provide health and fitness opportunities, outdoor classrooms for nature study, greenways for wildlife conservation, links with historic sites – and an economic boost to regional tourism.